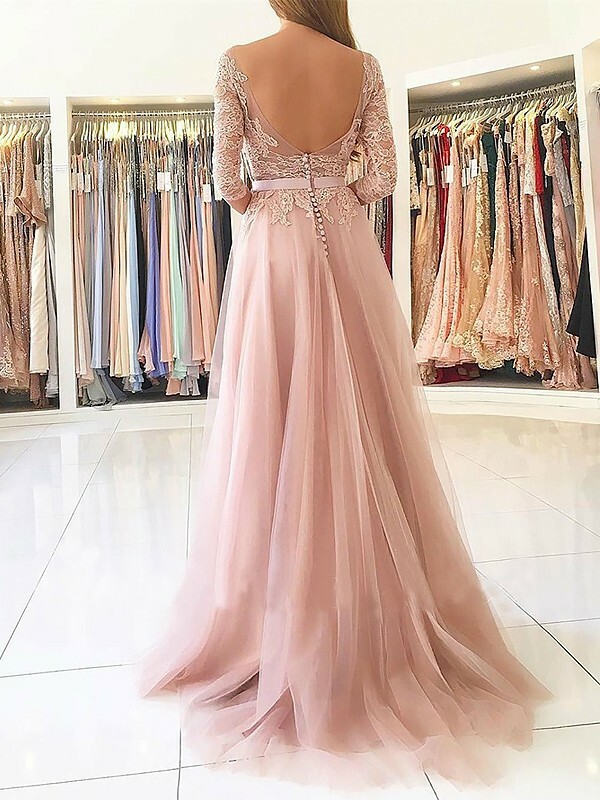 Cheap Pink Tulle Bateau A-Line/Princess Sweep/Brush Train Dresses in Evening Dresses - Special Occasion Dresses at Bonnyin.co.za online South Africa with high quality and affordable price. I just got it and I am excited to wear it!!! It looks just like the picture!! !